Tophill Low Nature Reserve is a Site of Special Scientific Interest and a must see for all your budding nature enthusiasts. With a fantastic new state of the art reception hide that opened in 2017, fully equipped with telescopes and binoculars, you can view thousands of the wildfowl that live on the reservoirs and wetlands straight away. Then head off through the woodlands to sit in one of the other hides that lookout at special areas for Otters and Kingfishers. Open daily and just a 20-minute drive away, we think this might even be the spot that some of our Kingfishers take their first flight, as it’s actually only a stone’s throw away as the crow (or should that be the Kingfisher!) flies over the fields behind the campsite. Side Oven Bakery is just outside Foston village (about 10 minutes drive away towards Driffield) and is a very special place, an organic farm and bakery run by a family passionate about the provenance of their produce. They manufacture a whole range of award-winning products such as their breakfast bars, mueslis and granolas, as well as organic juices and cordials. They also hold regular farm open day events throughout the summer. You can even join a bread-making class or organise a group of friends to do one and have a special experience together. William’s Den is just 30 minutes drive away and is a brand new unique family day out where the kids (and big kids!) can play and roam indoors and outdoors whatever the weather. it’s basically a huge adventure play park like no other! 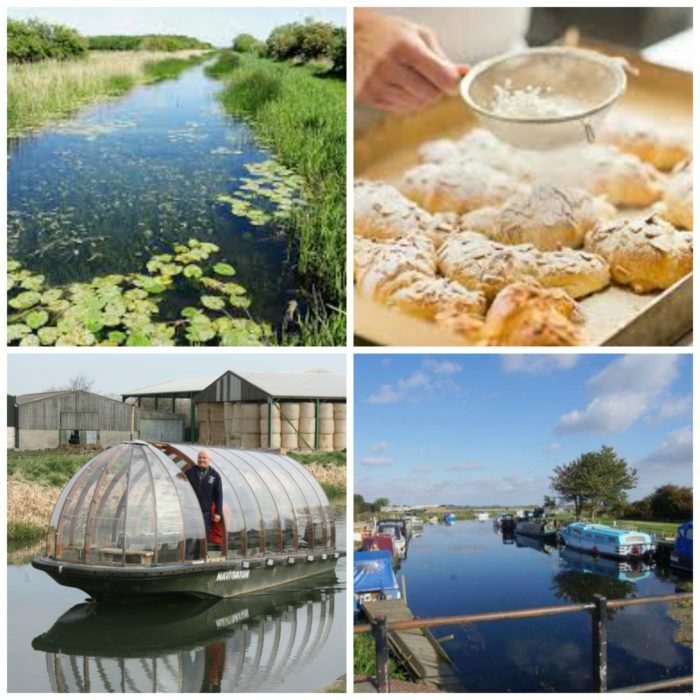 Why not take a boat trip on the Driffield Navigator and see the countryside from a whole different perspective. The clear topped vessel travels down the canal to the River Hull, the historic method of transporting grain from Driffield to Hull, you’ll certainly learn a thing or two about how things used to be, as you relax into this steady pace. Leven Canal is a ruggedly beautiful waterway, where you can walk up either side and cross over a bridge with nothing but countryside stretching out ahead of you. You will certainly spot wild birds and flowers along your route. The canal was built to improve trade links between Hull and the village of Leven.